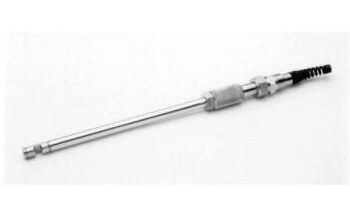 The O-SST probe offered by Guided Wave is an in-process fiber optic probe that is useful for the use in a corrosive process stream that contains strong acids, bases, or cyanides. With a similar performance rate as compared to Guided Wave’s gold alloy sealed SST probe, the O-SST instead utilizes polymer O-rings to seal the sapphire windows within its system. An additional similarity between the SST and the O-SST probe involves their high optical throughput for low noise in-line spectroscopy during complex solutions, thereby eliminating the need for costly and problematic fast loops and sample systems. 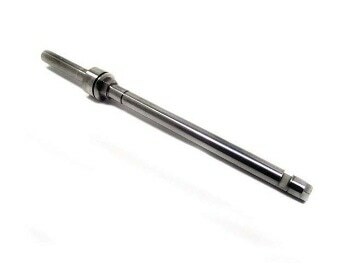 The O-SST can be made available in several convenient pathlengths, probe lengths, O-ring materials and commonly used chemically resistant stainless steel alloys. Contact DuPontTM Elastomers for further inquiry on these material options. On request, the O-SST can be supplied welded to an ANSI or DIN process flange. In a similar manner compared to all other Guided Wave optical probes, the O-SST Probe offers users an exceptional optical performance. For example, the peak transmission of the O-SST typically exceeds 40%, thereby providing a greater signal, lower measurement noise, as well as reduced limits of detection. The O-SST probe, or sample interface, plays a crucial role within the complete analyzer system. To ensure optimal performance, the probe must be ‘optically matched’ with both the spectrometer and the optical fiber that transmits the spectral data. All Guided Wave’s optical probes, including the O-SST, are matched to Guided Wave’s analyzers and fiber to ensure that the highest possible performance rate is achieved. Additionally, the O-SST is compatible with many other fiber optic analyzer brands in reference to their fiber diameter and spectral range. Guided Wave offers a wide variety of probes, flow cells and fiber optic cables that can meet the harsh demands of the process environment. In fact, these options are often equipped with various auxiliary features, all of which remain compatible with all Guided Wave analyzers, as well as several other fiber optic based analyzers that are manufactured by other companies.